Brownsville’s recognition as the city with the second most important history in Texas is cause for considerable pride. However, it should be noted that the designation does not take into consideration an equally significant pre-history. While much of Brownsville’s history lies unknown to her own people, by comparison, her pre-history is completely unknown. It is time that this lamentable fact is reversed. This may be accomplished by digging into Brownsville’s history to discover her prehistory. 1- Did Indians live in our area? 2- What were they like? 3- Were they important in Texas history? Are there any Indian sites in our area? Do we have any of their artifacts? To what tribe did they belong? Our Brownsville and Valley students have had to settle for sparse answers to these important questions, thus perpetuating a massive cultural and historical void in their education. To introduce the reader to the existence of the Anderson Collection. 3- To survey academic literature pertaining to the Anderson Collection. 4- To briefly summarize the archaeological theories pertaining to the Brownsville culture, 1932-1991. Little detail is known about the early and formative years of young Anderson; although it may be assured that, he quietly endured life as the eldest son of a widowed preacher whose responsibility became the raising of three small children. Young Andrew was expected to accept considerable responsibility at a young age. 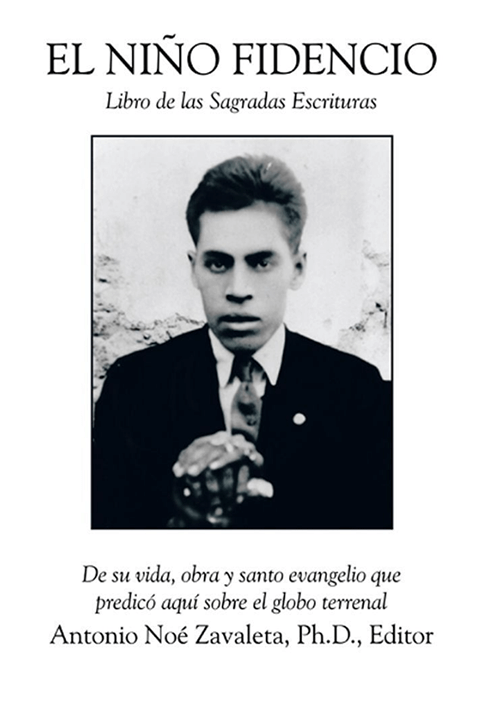 He had instilled in him strict principles of conservative Christian doctrine, and he quietly endured his childhood, which prepared him for his life in Brownsville. The young A.E. Anderson studied civil Engineering and Surveying at the University of Texas at Austin graduating around 1907. After completing his education at U.T., Anderson decided to seek his fortune in the rapidly developing area of Texas, south of Corpus Christi, and thus he arrived in the Lower Rio Grande Valley around 1908. While it is not known how Anderson made the decision to come to the Valley upon completing his education, it may be safely assumed that he was either recruited to work with the Valley surveying firm of Amthor and Vann, while still at U.T., or it is speculation that news of the rapid development of south Texas in 1908-1909, led him to seek his fortune in the Valley. Anderson family records romanticize his decision by stating, “He wished to help the comparatively new state of Texas to develop, and decided on the lower Rio Grande Valley as an ideal location.” (9) This theory is completely plausible given the land development “boom” that was occurring in the Valley early in the 20th century. Tragedy struck the Anderson family a severe blow with the premature death of his wife, Ida Anderson. Like that of his father, history appeared to be repeating itself. He was now the sole parent of his seven children. The great depression, successive hurricanes, and the loss of his wife were catastrophes sufficient to devastate the average person, but A.E. Anderson was a person accustomed to self-reliance and responsibility. Bolstered by strong pioneer Texas values, this man who participated in carving the Valley out of “monte,” circled the wagons, keeping his family together and his business going in the face of overwhelming odds. However, those who knew him agree that A.E. Anderson was never the same after the loss of his wife. A.E. Anderson survived his wife by 11 years, and with failing health and a weakened heart, followed his wife in death on March 10, 1944, in Brownsville, Texas. He was 58 years old. (12) Mr. Anderson spent 35 years of his life laying out property lines, filing deeds, building roads and bridges, working on irrigation projects, and literally walking through the most inhospitable virgin brush country in south Texas. Anderson was often called upon to testify in land title cases that were common in the early part of the 20th century “When Anderson would testify about a land survey, his word was always final. There was no cross-examination.” Years later, Mr. Cromack recalls being present in a court-of-law in Cameron County in which a surveyor who was testifying claimed, “I got within 6 inches of Anderson’s point and at that moment everyone smiled,” indicating that the testifying surveyor had done almost as good a job resurveying the property in question as Mr. Anderson had originally done. (16) Arriving in Brownsville in 1908, Anderson was reported to have been the only person to know the “exact” locations of downtown Brownsville’s property lines. It is because of Anderson’s meticulousness, his training in professional drawing, surveying, and note taking, that one of the most significant and archaeological collections in Texas come from Cameron and Willacy Counties. The “Anderson Collection,” is testimony to his lifetime of work. Anderson’s interest in botany and native plants led him to be the first person in the Valley to experiment with spineless cactus, which he had growing in his garden on Fruitdale. Mr. Cromack recalls a strange event, which occurred after Anderson’s death: “the spineless cactus began to grow spines.” (24). Remembered as the “perfect combination of the physical and Pleasant, quiet sort of man, with a real sense of humor and with an engaging group of children.” (25) As a true naturalist, Anderson rounded out his interests with the geology of the coastal river delta area. Conversation with Matt Claunch revealed the existence of a set of letters in the Anderson files from noted Texas geologist W. Armstrong Price, written to Anderson during the years 1937-1939. (26) This correspondence clearly indicates that Anderson had a sophisticated knowledge of local geology including river delta and alluvial deposits. A.E. Anderson was also a close personal friend of Mr. R.D. Camp the first Audubon ornithologist in the Cameron County area and the warden on Green Island for many years in the early part of the 20th century. (27) The Anderson daughters remarked, “Daddy felt that the coastal flat lands should remain public lands and not be sold to private concerns.” (28) When one considers Anderson’s wide variety of interests in nature and natural forms, it is clear to see that he was truly visionary in his desire to preserve our coastal wetlands. Anderson’s death resulted in his youngest children being sent away either to school or to live with their older siblings. With his children scattered across the nation and the world at war in 1944, we are fortunate that the Anderson collection actually found its way to the University of Texas in 1945. Almost all other Anderson family possessions, which were left in the home, including his collection of Dobie books, remain unaccounted for to this day. (33) It is clear that the men from the Texas Archaeological Research Laboratories knew the value of Anderson’s collection because they promptly arrived to claim it. Anderson stored the bulk of the collection in the family den, which numbered in the thousands of individual pieces. The den also served as his “inner sanctum,” and was off limits to all others except by special invitation. During the Great Depression, several of Anderson’s married daughters and their families temporarily returned to the family home in Brownsville. Mr. Anderson’s den was off-limits at all times except during special occasions. It was these times that under his watchful eye, family and friends could venture a peek at daddy’s Indian relic collection. Remembered for the rows and rows of cigar boxes filled with stone, pottery, and shell, the daughters recollect that the boxes came from Mrs. Saunder’s Cigar and Magazine Shop on Elizabeth St., located on the first floor of the Merchants National Bank in downtown Brownsville. In his later years, A.E. Anderson maintained his office upstairs in the historic building, which still stands in Brownsville. The daughters remember the wide eyed amazement with which they eagerly waited to be rewarded with a peek inside the handsome felt-lined box Anderson kept in his office. It contained his most highly treasured prizes, including finely carved and decorated, polished mother-of-pearl gorgets, and Indian relics, which had been crafted into jewelry for his wife. (38) These special treasures were most probably excavated from coastal burial sites. These rare and beautiful pieces were once the proud possessions of the nobility of Cameron County’s pre-historic populations. Some of the Anderson children’s happiest memories include accompanying “daddy” on a family outing to a “dig,” in which an Indian burial was to be excavated. The daughters proudly recall their tasks of carefully sifting soil. They slept under the stars on the coastal salt-flats, or near Mexican “jacales,” while the smell of beans cooking over an open fire filled the night air. (39) Anderson is also reported to have played a role in the surveying and layout of the Port of Brownsville ship channel. Built in the 1930’s, it traversed 15 miles of the most archaeologically rich coastal lands in Texas. Fortunately, for us, Anderson was there to collect the artifacts, which fell out of the spoil and dredge as it was piled up on the banks of the ship channel. Anderson documented the location of each site as the channel cut across the clay dunes and salt-flats to the Gulf of Mexico. It was from this same area along the newly excavated Brownsville ship channel that Anderson collected fossilized fragments of Pleistocene mammals. These enormous animals roamed our area tens of thousands of years ago. Anderson sent his findings to the Smithsonian Institution in Washington D.C. for identification. Mr. Anderson also communicated his discoveries and interests in Texas’ geology to his friend Dr. W. Armstrong Price of Corpus Christi. He was also known to correspond with paleontologists at the University of California. During the years, 1937-1939, Anderson and Price corresponded often. Commonly their letters reflected their theories on coastal geology and archaeology. In a letter dated December 13, 1937, Price remarks that the rare Folsom point Anderson found near the mouth of the Rio Grande indicates an ancient occupation. A.E. Anderson was Brownsville’s first naturalist and environmentalist who left us his outstanding surveys and his geological maps. He was an avid botanist, but most of all, Anderson made a lasting contribution to our knowledge of Brownsville’s pre-historic populations by leaving us his “Indian relic” collection. Many of his artifacts are still in their original cigar boxes just as he left them. The majority of the material from the U.S. side of the river comes from Cameron County, with some material collected from the southeastern area of Willacy County. Anderson identified approximately 200 sites in Cameron County. The majority of these sites were located in the eastern coastal sections of the county. A good number of sites were located along resacas in the central and southern parts of the county (San Benito, Los Fresnos, Olmito, and Brownsville). While the majority of sites were coastal, there is no significant difference between the material collected near the coast and material collected from sites in the central and southern expanses of Cameron County, from the work of Hall, describes an area along the Brownsville ship channel eastward to the Laguna Madre. Along this route no fewer than 11 Anderson sites are identifiable. (47) cut-out from the East Brownsville quadrant of the U.S.G.S. map series and the Indian artifacts found in the Anderson Collection include the following: Flint projectile points, knives, scrapers, drills, tubes, hammer stones, pumice-stone pipes, rubbing stones, pottery, and potsherds of Mexican origin. Both human and animal bone material is represented in the form of tools and ornaments. Split bone awls and tubes decorated with incised lines are represented. Marine shell artifacts are generously represented in the forms of tools and ornaments, including hand axes, scrapers, tinklers, beads, disks, sockets, plugs for drills, fish hooks, projectile points, pendants, gorgets, gouges, gaming disks, and band ornaments. (49) Representing typical lithic artifacts found in the collection. in addition, describe “Huastecan” type painted pottery, which is typical of the Brownsville complex. Pottery cutouts and potsherds also plentiful in the Brownsville area. Representative types of shell and bone artifacts in the collection common to the Brownsville culture. The wide variety of shell artifacts found in this coastal culture is named above. “The most distinctive characteristic of the Brownsville complex is the abundance of shell artifacts, in particular, projectile points fashioned from conch- shell columella. Other commonly occurring shell ornaments and tools include chipped-shell disks, centrally pierced ground-shell disks, and carved pendants. They vary in presence or in absence of design and shape. a-Abasolo: a large unstemmed triangular point with a well-rounded base. Similar to Catan but larger in size. b-Almagre: a large, broad, and comparatively thick point with an irregular body. c-Angostura: A long slender, leaf-shaped point. d-Cameron: A tiny, equilateral, triangular point. e-Catan: A triangular, unstemmed point, rounded base. f-Cliffton: A roughly triangular, crudely chipped form. g-Clovis: A lanceolate outlined point with a short wide flute on one side and a narrower flute on the back. h-Ensor: A highly variable point with broad stems, and shallow side notches. j-Folsom: A lanceolate point recognized by excellent chipping, thinness, and distinctive flutes. k-Fresno: A stemless, triangular point that has straight to slightly convex or concave lateral edges, and a convex or slightly concave base. m-Langtry: A thin well-made point with straight to concave or recurved lateral edges and strong shoulders. n-Lerma: A slender, bipointed outline, usually thinned on one end. p-Matamoros: A small thick triangular or subtriangular unstemmed point similar to Tortugas. .
q-Perdiz: A triangular point usually well barbed at the shoulders and a contracted stem, often sharply pointed. r-Refugio: No stem, elongated triangular point. t-Starr: A triangular point with slightly concave lateral edges and a pronounced base concavity. v- Toyah: A small triangular point with two side notches. (53) gouges, gravers, and abraders. Lithic debitage include cores, flakes, chips, and blades. Lithic artifacts are knapped, knapped and pecked, or ground types. The knapped and pecked types include hammer stones and anvils, while the ground type includes “manos.” Lithic resource material in the collection includes Aphanitic chert, Quartzite, Chalcedony, Ogallala chert, Rhyolite, Siltstone, Limestone, and Petrified wood. In the years after the first contact with the Spanish, 1500’s numerous small bands of nomadic Indians were pushed northward into the area of the Rio Grande River Delta. In his book on the Indians of Texas, Newcomb described the “Western Gulf Culture” area, which extended from Galveston in Texas to the Rio Panuco in southern Tamaulipas. Most of the groups in this area can be grouped linguistically into a category called Coahuiltecan. A related group, the Karankawas was entirely a coastal living group unlike the Coahuiltecans who ventured to the west. The Karankawas existed on Padre Island from Corpus Christi to as late at 1843. After this time the remaining members were probably pushed southward into Mexico. By the middle 1700’s most Coahuiltecan bands had been relocated to Spanish missions and were living peacefully. Lipan Apache and Comanche groups into south Texas and the Valley. These warlike people scared the remaining Coahuiltecans deeper into Mexico. Mr. A.E. Anderson was the first person to take interest in Brownsville and Valley pre-history. He theorized that there was only one culture, which existed in the lower river delta. In the 1930’s and 1940’s the first professional reconnaissance began in the area based upon Anderson’s work. Initial survey was with the purpose of the preliminary delineation of the area’s cultural complexes and their interrelationships. Early surveys encountered abundant painted ceramic from the Huastecan area of southern Tamaulipas. This pottery along with shell artifacts would come to distinguish the Brownsville complex from other cultures. ln his early work in the 1940’s, MacNeish, recognized adjacent but different cultures to the south in Mexico. The Barril complex is the most important. MacNeish supported the possibility of a cultural relationship between prehistoric Mexican cultures to the south and those to the north in the southeastern U.S. Passing through Brownsville. MacNeish characterized the Brownsville, Abasolo, and Repelo complexes as important to south Texas and northeast Mexico. in 1946, MacNeish revisited 14 Anderson sites and examined the material from 58 others. McNeish identified the Abasolo complex, as a neighbor to the Brownsville complex. The Abasolo complex extends from the Rio de las Palmas in Tamaulipas, northward along the coast to the San Fernando River. Then concentrated inland to Reynosa and into southern Texas. In the 1940’s, Kelley called the same culture the “Monte” culture. The Coahuiltecan, Abasolo, and Monte cultures were basically the same. In the 1950’s extensive study in the area of the Falcon Dam construction site led to the discovery of Brownsville complex materials in Falcon sites indicating some trade. Paleo-Indian sites were definitely found to the West in the Falcon area. Brownsville area has not produced a Paleo-Indian culture although Paleo-Indian materials have been found. Paleo- Indian cultures represent peoples who lived before 5,000 B.C. The Falcon Dam area had an Archaic culture beginning around 5,000 B.C. and continuing right up to the earliest contact with the Spanish. In the Falcon focus the dominant projectile points, are, Tortugas, Abasolo, and Refugio. 20-The Mier focus was a transitional phase between the Archaic and Neo-American Indians. The Mier focus is represented by Matamoros, Catan, Fresno, Perdiz, and Starr projectile points. 21-The Brownsville focus was clearly recent, falling into the Neo-American Indian period. That is, 2,000 A.D. to the time of contact, 1,500 A.D. It is now believed to have had two unique cultures living at the same time. The Brownsville culture on the coast, and the Barril or Abasolo to the west. During the 1960’s and 1970’s, Thomas R. Hester, conducted extensive archaeological study in south Texas and is regarded as the leading expert on the topic. As recently as 1974, Elton Prewitt revisited 60 Anderson sites, Cameron County, locating 38 new sites. 1932: A.E. Anderson, Brownsville surveyor and naturalist publishes an article, which describes the artifacts that he had collected along the Rio Grande Delta over a 35-year period. 1935: E.B. Sayles is the first professional archaeologist to take interest in the Anderson collection, which is discussed, in an archaeological survey of Texas. 1940: A.T. Jackson compared stone tubes from the Anderson Collection to similar specimens from other areas of Texas. 1943: T.N. Cambell, studied stone tolls from cue Aransas focus and attempted to draw a relationship between early horizons along the Gulf coast of the southern U.S. and northeastern Mexico. 1947: R. MacNeish publishes preliminary results of his archaeological survey of the Sierra de Tamaulipas, and coastal Tamaulipas north of the Soto is Marina River as well as a small portion of south Texas including Anderson sites. 1947: J. Hughes, at about the same time as McNeish surveys a lengthy stretch along the Matamoros-Victoria highway. Hughes examined the banks of and basins for sites as Anderson had. 1947: J. Charles Kelley, publishes an article on the “Monte Aspect of the Balcones Phase,” and draws conclusions to the cultures of the Gulf Coastal Plain southward. 1949: T.N. Campbell and Frizzell furthered the concept of the “Monte Aspect,” including Repels arid Abasolo complexes. 1950: Krieger and Hughes, publish initial reports of their fieldwork from Zapata and Starr counties and the Falcon reservoir area. 1951: Aveleyra, a Mexican archaeologist who worked on the Mexican side of the Falcon project. 1951: Hartle and Stephenson published their investigations at the Falcon Reservoir construction project. 1952: J.F. Cason reported on pre-historic sites at the Falcon Reservoir construction site. 1952: E.B. Jelks reports on the river basin archaeological survey in Texas. 1953: E.B. Jelks, more reports on the river basin survey. 1953: Argued as and Aveleyra, McNeish archaeologists publish a brief report on the discovery of a Plainview point on the Mexican side of the Falcon Dam project. 1953: F. Ruecking, publishes article on the economic systems of the Coahuiltecan Indians of southern Texas. 1954: Suhm, Krieger, and Jelks, produce the first edition of the Introductory Handbook Of Texas Archaeology, which includes material for eight south Texas counties. 1956: F. Weir, reports on an important pre historic site in Starr County. 1958: R. MacNeish publishes a major publication based on 21 months of fieldwork in Tamaulipas and northern Mexico. MacNeish’s work studied the Anderson Collection and resurveyed Anderson Sites. 1958: W. A. Price, Anderson friend, Corpus Christi geologist publishes a major work on Gulf Coast geology. 1960: Tom N. Campbell, publishes a major article on the archaeology of the central and southern sections of the Texas coast. 1961: W.W. Newcomb, publishes the Indians of Texas. 1962: R. Troike, publishes notes on Coahuiltecan ethnography. 1964: T.N. Campbell works on Padre Island reporting on 15 sites. 1967: Curtis Tunnell and J.E. Corbin, establish the Cameron County file at the TARL at U.T. Austin. 1969: M.B. Collins, T.R. Hester, and F. Weir, report on the very important Floyd Morris cemetery site in Cameron County. 1969: T.R. Hester, continues his work in south Texas with a Kleberg and Kenedy County sites. 1971: T.R. Hester and R.W. Rodgers, gain additional information concerning burial patterns in the Brownsville complex. 1971: J.P. Nunley, finishes his dissertation on Archaic sites in the Falcon Reservoir area. 1972: D.R. Brown, assess the archaeological resources affected by the construction of the Retamal Dam.in Hidalgo County. 1973: T.R. Hester, publishes his paper on Hunters and Gatherers of the Rio Grande Plain and the Lower Texas Coast. 1974: E. Prewitt, a student of Campbell spends three months locating Anderson sites in Cameron County for a student paper. 1974: Scurlock, Lynn, and Ray, assess the archaeological resources of Padre Island. 1974: G. Doran, completes a Master’s Thesis on the Long Bones of Texas Indians. 1974: G.D. Hall and K.A. Grombacher, conduct an archaeological assessment of the Brazos Island area. 1975: T.R. Hester and H.J. Shafer, discuss the importance of flint resources and blade technology along the Texas coast. 1975: Nunley and Hester, conduct a systematic survey of sites along the Arroyo los 0linos in Starr County, a total of 52 sites are identified. 1975: Archaeologist Dr. Gene J. Paul arrives at Texas Southmost College. 1976: E.P. Baxter and K.L. Killen perform an archaeological survey of the Palo Alto Battlefield near Brownsville. 1976: Anthropologist Dr. A.N. Zavaleta arrives at Texas Southmost College, Paul and Zavaleta become the first professional anthropologists and archaeologists in the Valley. 1977: R. Mallouf, B. Baskin, and Killen, publish a major survey of the cultural resources of Hidalgo and Willacy Counties. 1978: T.R. Hester, publishes an article entitled, Archaeology of the Lower Rio Grande Valley of Texas. 1979: R. Mallouf and A.N. Zavaleta, publish a report on the skeletal remains found at the Unland site in Cameron County. 1979: G.J. Paul and A.N. Zavaleta are contracted to survey the Boscaje de Palmas in the Southmost area of Brownsville. Photograph the Anderson Collection in Austin. 1980: L. Highley and T.R. Hester, publish papers on The Archaeology of the Texas Coast. Environment and geology of the Texas coast, Brownsville and Harlingen area. 1983: G.J. Paul and A.N. 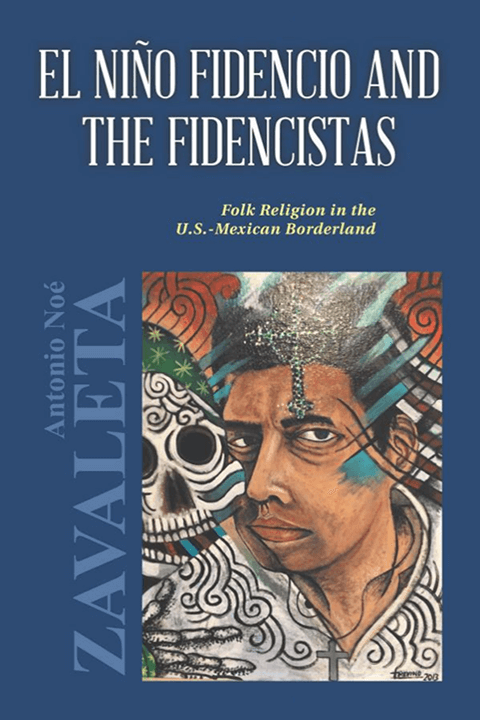 Zavaleta publish a report on the Boscaje de Palmas in the Borderlands Journal. 1985: E.S. Turner and T.R. Hester, publish a Field Guide to the, Stone Artifacts of Texas Indians. Importance of resacas and bancos. Includes photographs from the Anderson Collection. 1990: M. Salinas publishes a major work on the Indians of south Texas and northern Mexico. Niles Hansen, The Border Economy: Regional Development in the Southwest, University of Texas Press, Austin, 1981. 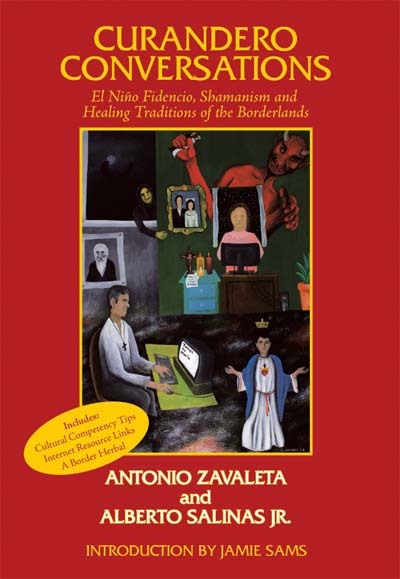 3- Antonio N. Zavaleta, Resacas and Bancos in Brownsville History, In, More Studies in Brownsville History, Edited by Milo Kearney, Pan American University at Brownsville, pp.330. Thomas R. Hester, The Archaeology of the Lower Rio Grande Valley of Texas, In, Proceedings of An Exploration of a Common Legacy: A Conference on Border Architecture, Texas Historical Commission, 1978, pp.66-79. Robert Mallouf, and others, A Predictive Assessment of Cultural Resources in Hidalgo and Willacy Counties, Texas, Office of the State Archaeologist Survey Report 23, Texas Historical Commission, 1979, pp.51-88. Anderson family history single photocopied sheets. Personal conversations with Mr. Kermit Cromack and Mr. Matt Claunch, Tape Recorded in Brownsville, Texas, June 1991. A letter from Mr. A.E. Anderson to Miss Lula Champion dated July 28, 1931, discussing a property survey on the Rio Grande River and including Bancos. Letter is the personal property of the author. Personal conversations with Mrs. Virginia Anderson Weich and Mrs. Katherine Anderson Celaya Reed, tape-recorded in Brownsville, Texas, in June of 1991. Kermit Cromack, Ibid. are the property of Mr. Matt Claunch, from the Anderson Files. 24-Personal Communication with Mrs. Rose Farmer curator of the Sabal Palm Audubon sanctuary in Southmost, Texas. Weich and Reed, Op. Cit. Anderson family records, Op. Cit. Welch and Reed, Op. Cit. MacNeish, R. S. A Preliminary Report on Coastal Tamaulipas, Mexico, American Antiquity, 13(1):1947 pp.1-15. Personal communication with Mr. J.D. Weich in Brownsville, Texas in June of 1991. Letter from W.A. Price to A.E. Anderson, dated December 13, 1937, property of Mr. Matt Claunch. Letter from W.A. Price to A.E. Anderson, dated June 20, 1938, property of Mr. Matt Claunch. Letter from W.A. Price to A.E. Anderson, dated August 5, 1938, property of Mr. Matt Claunch. Personal communication with Dr. Thomas R. Hester, Director of the Texas Archeological Research Laboratories, Austin, Texas. Grant D. Hall and K. A. Grombacher, An Assessment of the Archeological and Historical Resources to be Affected by the Brazos Island Harbor Waterway Project, Texas, Research Report No. 30, Texas Archeological Survey, The University of Texas at Austin, 1979, p.2. U.S.G.S. 1970 series, East Brownsville Quadrangle. Texas Archeological and Paleontological Society, 4:29-31. E.S. Turner and T.R. Hester, A Field Guide to Stone Artifacts of Texas Indians, 1985 Texas Monthly Press, Austin. Anderson, A.E. 1932 Artifacts of the Rio Grande Delta region, Bulletin of the Texas Archeological and Paleontological Society 4:29-31. Arguedas R. de la Borbolla, sol, and Luis Aveleyra Arroyo de Anda 1953 A Plainview point from northern Tamaulipas. American Antiquity 18(4):392-393. Aveleyra Arroyo de Anda, Luis 1951 Reconocimiento arqueologico in la zona de la Presa Internacional Falcon, Tamaulipas y Texas. Rivista Mexicana de Estudios Antropologicos 12:31-59. Baxter, Edward P., and Kay L. Killen 1976 A study of the Palo Also Battleground, Cameron County, Texas. Anthropology ‘Laboratory Report 33. Texas A&M University, College Station. resources to be affected by construction of Retamal Diversion Dam, United States Dike and modified Hackney Floodway and closure of Mission Floodway, Hidalgo County, Texas. Texas Archeological Survey Project Report 15. The University of Texas at Austin. Brown, L.F. and others 1980 Environmental geologic atlas of the Texas coastal zone: Brownsville-Harlingen area. Bureau of Economic Geology, the University of Texas at Austin. Campbell, T.N. I960 Archeology of the central and south sections of the Texas coast. Bulletin of the Texas Archeological Society 29(for 1958):145-176. Campbell, T.N. 1964 Appraisal of the archeological resources of Padre Island, Texas. Report submitted to the National Park Service by the University of Texas at Austin. Campbell, T.N., and Jack Q. Frizzell 1949 Notes on the Ayala site, lower Rio Grande Valley, Texas. Bulletin of the Texas Archeological and Paleontological Society 20:63-72. Cason, J.F. 1952 Report on archeological salvage in Falcon Reservoir, season of 1952. Bulletin of the Texas Archeological Society 23:218-259. Collins, M.B., T.R. Hester, and F. A. Weir 1969 The Floyd Morris site (41CF2): a prehistoric cemetery site in Cameron County, Texas. Pt. 1. Bulletin of the Texas Archeological Society 40:119-146. Doran, G.H. 1974 The long bones of Texas Indians. Master’s Thesis, The University of Texas at Austin. Hall, Grand D., and K.A. Grombacher 1974 An assessment of the archeological and historical resources to be affected by the Brazos Island Harbor Waterway Project, Texas. Texas Archeological Survey Research Report 30. The University of Texas at Austin. investigations at the Falcon Reservoir, Starr County, Texas. Mimeographed report. On file, Texas Archeological Research Laboratory. The University of Texas at san Antonio, special Report, No. ii. Hester, T.R. 1969 Archeological investigations in Kenedy and Kleberg counties, Texas, in August 1967. Archeological Program Report 15. Texas State Building Commission, Austin. 1976 Hunters and gatherers of the Rio Grande Plain and the Lower Texas Coast. Issued by the Center for Archaeological Research, The University of Texas at San Antonio. in addition, south-central Texas. Paper presented at conference on the prehistory of northeastern Mexico and Texas, Monterrey, Mexico. Valley of Texas. In Proceedings, an exploration of a common legacy: a conference on border architecture, pp.66-73. Texas Historical Commission, Austin. Hester, T.R. 1980 Digging into South Texas Prehistory: A Guide for Amateur Archaeologists, Corona Publishing Co. San Antonio. Two prehistoric cemetery sites in the lower Rio Grande Valley of Texas. Bulletin of the Texas Archeological Society, 40:119-166. R.W. Rodgers 1971 Additional data on the burial practices of the Brownsville complex. The Texas Journal of Science 22 :(4):367-372. and H.J. Shaffer 1975 An initial study of blade technology on the central and southern Texas coast. Plains Anthropologist 20(69):175-185. Jackson, A.T. 1940 Tubular pipes and other tubes in Texas. Bulletin of the Texas Archeological and paleontological Society 12:99-137. Jelks, E.B. 1952 The river basin surveys archeological salvage program in Texas. The Texas Journal of Science 4(2):131-138. Kelley, J.C. 1947 The cultural affiliations and chronological position of the Clear Fork focus. American Antiquity 13(2):97-109. Krieger, A.D., and J.T. Hughes 1950 Archeological salvage in the Falcon Reservoir area: Progress Report 1, Mimeographed. Texas Archeological Research Laboratory, Austin. MacNeish, R.S. 1947 A preliminary report on coastal Tamaulipas, American Anthropologist 13(1):1-15. MacNeish, R.S. 1958 Preliminary archeological investigations in Sierra de Tamaulipas, Mexico. Transactions of the American Philosophical Society 48:6. Mallouf, R.J. ,B. J. Baskin, and K.L. Killen 1977 A Predictive Assessment of Cultural Resources in Hidalgo and Willacy Counties, Texas, Archeological Survey Report 23, Texas Historical Commission, Austin. Prehistoric Group Burial from Laguna Atascosa National Wildlife Refuge, Cameron County, Texas. Office of the State Archeologist Special Report 25, Texas Historical Commission, Austin. Newcomb, W.W. 1961 The Indians of Texas from prehistoric to modern times. University of Texas Press, Austin. Newton, M.B. 1968 The distribution and character of sites, Arroyo Los Olmos, Starr County, Texas. Bulletin of the Texas Archeological Society 38: 18-24. Nunley, J.P. 1971 Sociocultural units of the southwestern Texas Archaic: An analytic approach. Ph.D. Dissertation. Southern Methodist University, Dallas, portions of Starr County, Texas. Archaeological Survey Report 7, Center for Archaeological Research, The University of Texas at San Antonio. Paul, G. J., and A.N. Zavaleta 1983 Archaeology and Ethnohistory of the Boscaje de Palmas, The Borderland Journal, 6(2) 111-149. Prewitt, E.R. 1974 Preliminary archeological investigations in the Rio Grande delta area of Texas. Bulletin of the Texas Archeological Society 45: 55-65. Price, W.A. 1958 Sedimentology and Quaternary geomorphology of south Texas. Transactions of the Gulf Coast Association of Geological Societies 8:41-75. Ruecking, F. 1953 The economic system of the Coahuiltecan Indians of southern Texas and northeastern Mexico. The Texas Journal of Science 5(4): 480^497. Ruecking, F. 1955 The Coahuiltecan Indians of southern Texas and northeastern Mexico. Master’s Thesis, The University of Texas at Austin. Salinas, M. 1990 Indians of the Rio Grande Delta: Their Role in the History of Southern Texas and Northeastern Mexico. The University of Texas Press, Austin. Sayles, E.B. 1935 An archaeological survey of Texas. Medallion Papers 17. Gila Pueblo, Globe, Arizona. Scurlock, D, W.M. Lynn, and T.R. Hester 1974 Archaeological sment: Padre Island National Seashore, Texas. Office of the State Archeologist Special Reports 11. Texas Historical Commission. Suhm, D.A., A.D. Krieger, and E.B. Jelks 1962 Handbook of Texas archeology. 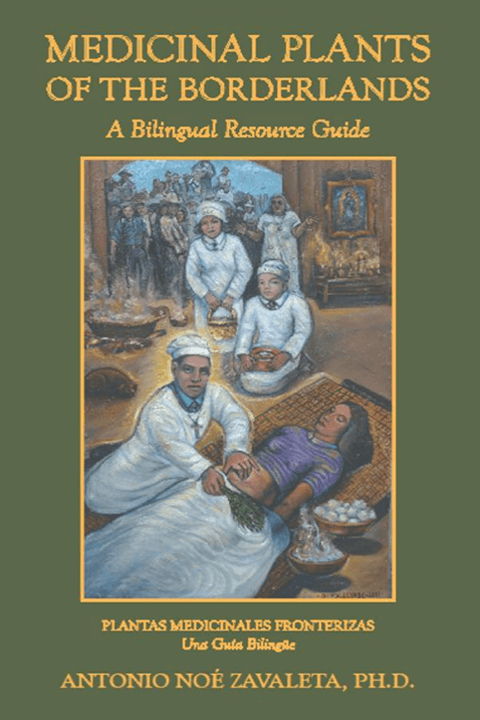 Bulletin of the Texas Archeological Society 25.Notes on Coahuiltecan ethnography. Bulletin of the Texas Archeological Society 32(for 1961):57-63. Tunnel1, C. and H.P.Jensen n.d. Notes on file, Texas Historical Commission, Austin. Turner, S.E. and T.R. Hester 1985 A Field Guide to Stone Artifacts of Texas Indians, Texas Monthly Press, Austin. Weir, F.A. 1956 Surface artifacts from La Perdida, Starr County, Texas. Bulletin of the Texas Archeological Society 27:59-78. Zavaleta, A.N. Resacas and Bancos in Brownsville History, in More Studies in Brownsville History, edited by Milo Kearney, Pan American University at Brownsville, 1989. 1 This article was originally published in the Brownsville History series published by Milo Kearney in 1991, Maps and photographs of Anderson artifacts have been removed. They may be viewed by accessing the Brownsville History series at UTRGV, 1991.